The easiest and most customizable online calendar that you can access anywhere, anytime. 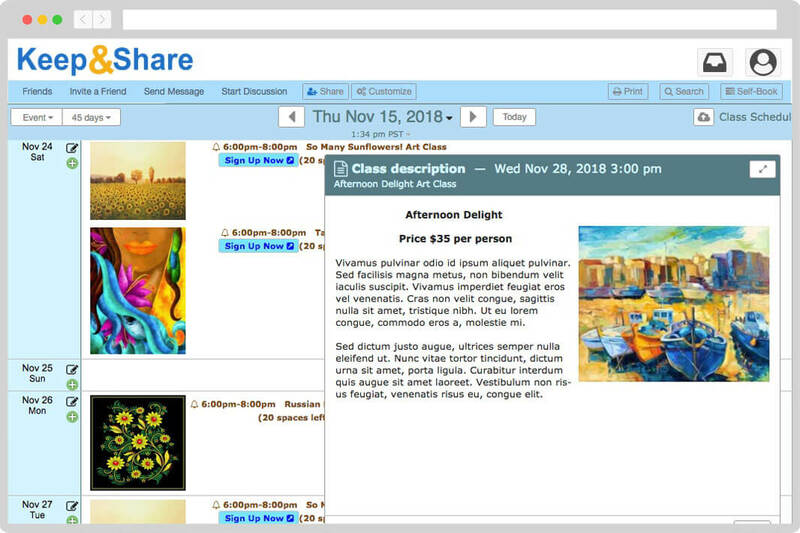 Our shareable group calendars make office communication simple & secure. 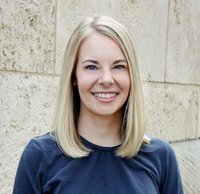 Our Team plans make sharing & collaboration simple & secure, whether that team is 1 entrepreneur & an assistant, 15 art instructors, or 300 engineers scheduling repairs. You can share anything in your account with anyone on any device, whether they’re part of your team or not. This makes it easy to coordinate with clients, contractors, and anyone else you need for your business. 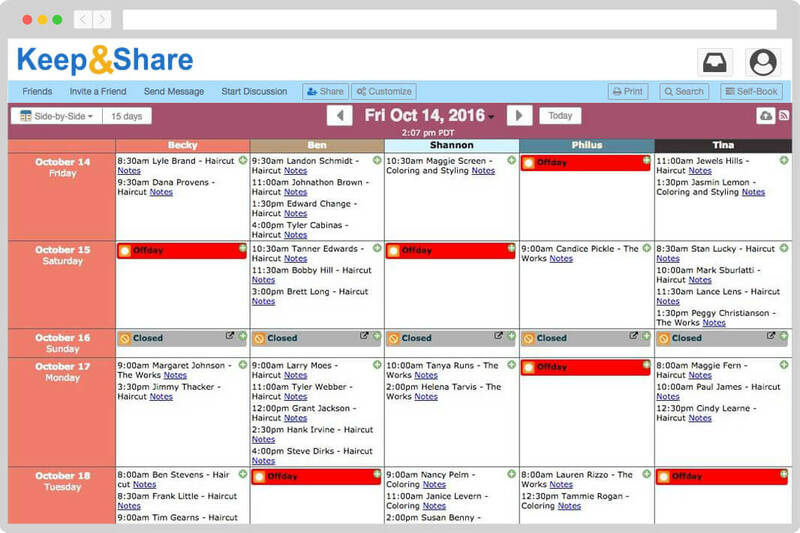 Everyone on your team will have the most up-to-date version of every calendar, file, etc. Plus, you can set up email and text message reminders for events and deadlines. Assign tasks, jobs, or appointments to individual members of your team in their own private calendar. 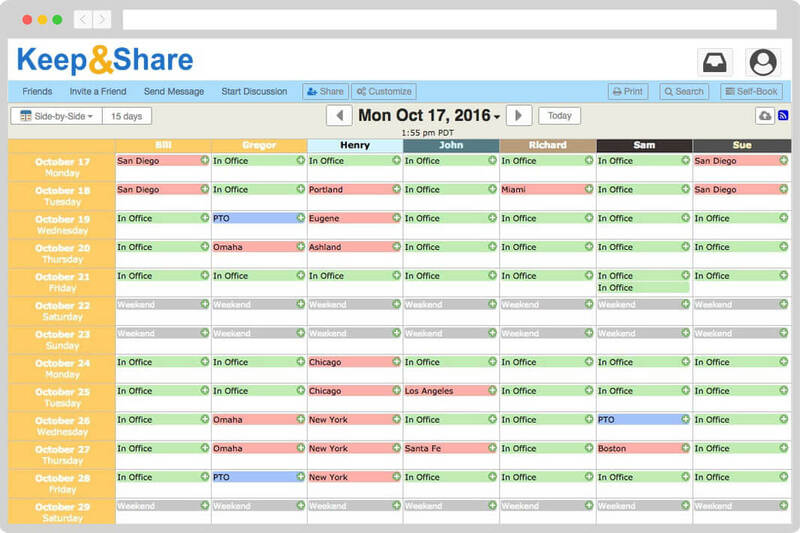 You can then combine multiple team member calendars into one master calendar to easily compare different schedules. You and your team can be alerted automatically of any changes made to appointments, events, or assignments in your calendar. Get notifications by email or text message. Use custom colors and event tags to group events by team member, location, job, and more. Office managers can even use event tags to filter calendars for only the events that you, your field crews, or office staff want to see. You're not just another number to us. Our top-notch support is provided by real live humans. We will answer your emails and phone calls in a timely manner and we go out of our way to find the best solution for your problem. We LOVE Keep&Share! What a lifesaver it has been for our event business! Our criteria included an easy-to-learn interface, mobile accessibility in case we are away from the office, the ability to add and take away users, the option of multiple calendar overlays, and excellent customer support. Keep&Share has exceeded our expectations! 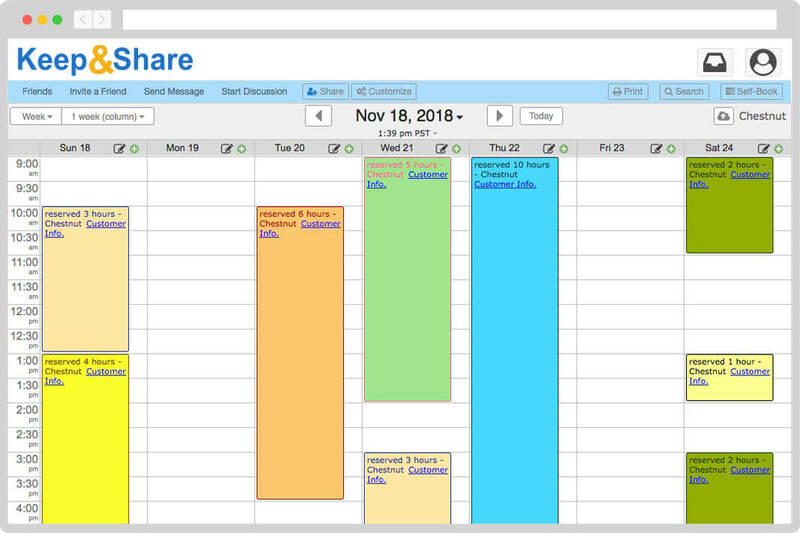 Our calendar is seamlessly integrated 5 included apps (Files, To Do Lists, Addresses, Photos, & Discussions) in your account to turn your calendar into a collaboration powerhouse. Never lose track of anything in your email again. Not only do we have a wide collection of help articles & video tutorials, but we also have real people answering your support questions! Customers rave about our email & phone support, like our personalized setup consultations. 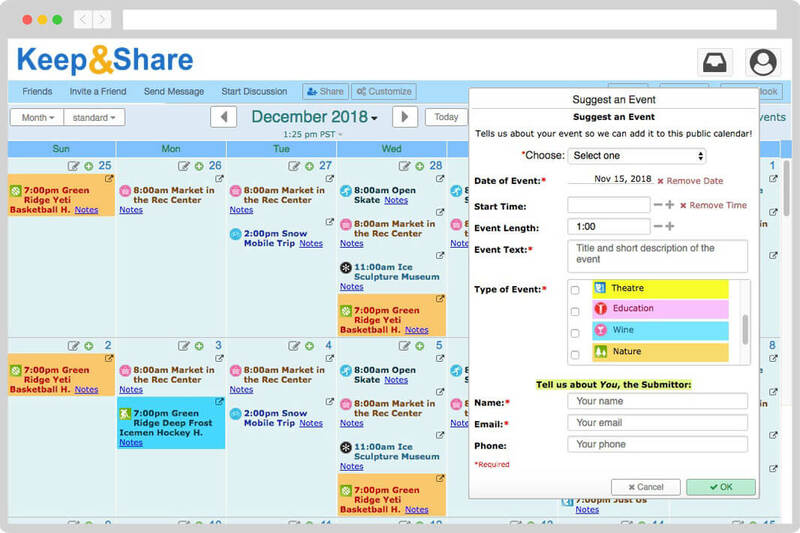 With Keep&Share calendars you can add images, colors, event tags, notes, reminders, notifications, attach files, to do lists, links, and more. See more calendar features. When I have questions for the Keep and Share Support Team the turnaround time is always lightning fast! But that is not very often because the Keep and Share interface is so intuitive. If you can use Microsoft Word you can use Keep and Share.